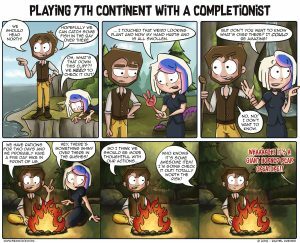 The 7th Continent is a very ambitious choose-your-own-adventure in which your group of explorers is trying to lift a curse that is placed upon them. Try to survive while getting attacked by monsters, solving puzzles and uncovering the secrets of the continent. 7th Continent is not available at the moment, but you can get more information on Serious Poulp’s website.